How do I post more pictures of my work in the Photo Gallery? 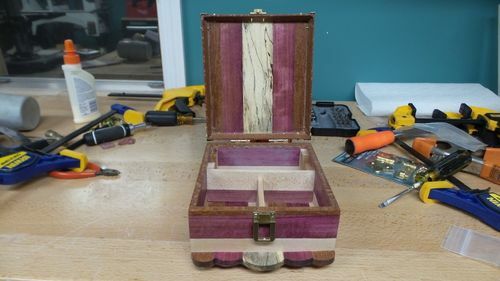 How do I post my projects into the photo gallery ?... I got 1 in there but I don’t even know how I did it. You may have to wait until your 1st one is approved by the higher up’s. Then you shouldn’t have any more problems. This happened to me a couple weeks ago. I think it took a day or so. When you post a project, the main picture- the first one you upload- is automatically added to your gallery. I posted this picture as a test to see if adding this post would automatically add this picture to the photo gallery…. it did not. Adding pictures to the gallery is NOT intuitive and as of now I still don’t know how to fill my gallery with pictures. I also cannot delete a post during the edit period, I can only edit it or cancel. How do I delete one of my posts? 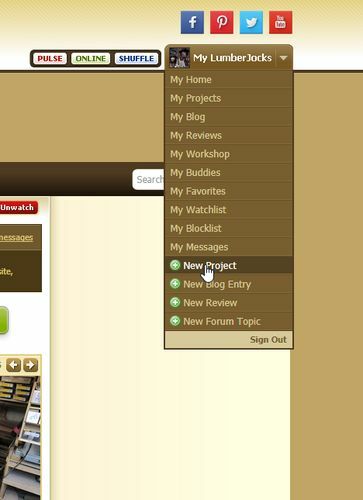 You need to go to the projects page, scroll down and select add new project and go from there. Basically when you create a “new project”, the first photo in the project gets included into your gallery. There is a check box at the bottom of the project form that allows you to not have the project included into you gallery. The gallery is not a traditional photo album in the sense that you can stuff it full of photos, it is just a different way to look through your posted project main photos. 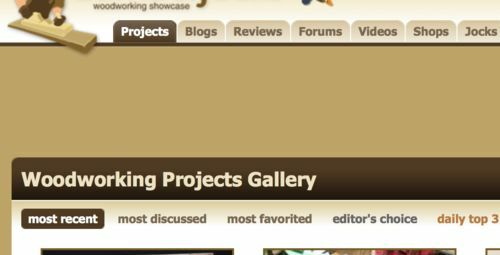 Are you referring to the site’s Project Gallery? Click My Lumberjocks, then select New Project and follow the instructions from there.